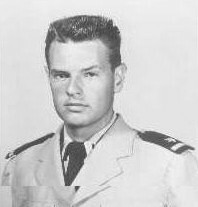 Ron was commissioned Ensign, USN upon graduating from USC, June 1952. Accepted to flight training via a year on a destroyer, reported to USS WEDDERBURN (DD 684), and deployed to the Western Pacific, including several rotations with Task Force 77 and on the Korean "gunline." Qualified OOD underway, formation steaming. Reported to Pensacola June 1953 and trained in SNJs, T-28s and TBMs. Carrier qualified in the SNJ (Primary) and TBM (Advanced) aboard the MONTEREY. Designated in December 1954, and checked into VS-20 at NAAS Brown Field, San Diego. The squadron was transitioning from AFs to S2F-1s. In 1956, VS-20 deployed to the Far East with VS-21 aboard PRINCETON (CVS 37) and merged into VS-21 during the cruise. VS-21 returned to new base, NAS North Island, and deployed to WestPac again, January 1958 in PHILIPPINE SEA (CVS 47). Received orders to BTG-1 (later VT-1) at NAAS Saufley Field, Pensacola, via Aviation Safety School at alma mater, USC (during the 1958 football season.) Primary flight instructor and squadron safety officer for the next 2 years. Instructed in T-34Bs and flew T-28s for fun. Also 20 hours in the TT-1 ("tinkertoy"), a small, grossly underpowered jet trainer with which the navy experimented briefly. The next challenge was to earn a masters degree in political science in nine months from the University of California at Berkeley. Managed this by June 1962 while flying "proficiency" in the TV-2. The navy immediately reciprocated with a 12 month unaccompanied payback tour in the just established Military Assistance Command, Vietnam (MACV). Filled two billets for which he was equally unqualified, a navy logistics officer and an army engineer. The best part of the job was flying all over South Vietnam, locating every strip and guessing how many of which types of aircraft could operate from each one at what time of year. Pilot time in the navy R4D and SNB and army L-20s and L-23s. BUPERS delivered on a promised squadron department head tour; operations officer of VS- 38 at North Island flying S2Es. VS-38 made back-to-back (1964 and 1965) WestPac deployments in BENNINGTON (CVS 20); the second deployment was pure Tonkin Gulf. 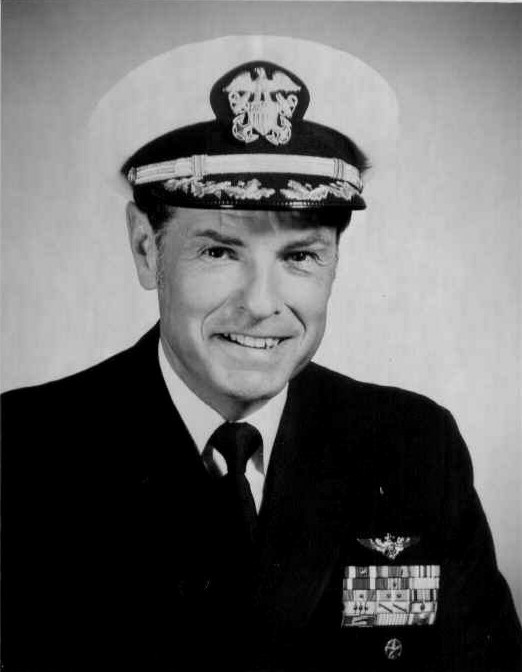 Made his first angled deck carrier landing (CORAL SEA) in 1964 and knew that the challenge of carrier aviation was gone forever. Vietnam credentials thoroughly established and a "frocked" Commander, ordered in January 1966 to the Office of the Chief of Naval Operations, Strategic Plans Division, Current Operations Branch (OP-601) as China Plans Officer. The job quickly morphed into Air Warfare Officer in a 3-man Vietnam Plans office. By the end of the 2-year tour there were seven officers who had staffed every significant JCS decision during those crucial years of the war. Commander Kennedy was on a first name basis with CNOs Dave MacDonald and Tom Moorer ("Ron" and "Admiral.") Proficiency time in the US-2B out of Andrews AFB. Back to sea duty and an XO/CO tour in VS-37...North Island and the S2E again. VS-37 deployed to WestPac aboard HORNET (CVS 12) in 1969 spending most of the time in the Gulf of Tonkin. Relieved as CO upon return to CONUS, selected for CAG, and ordered to TICONDEROGA (CV 14) as Weapons Officer. The ship was in the Long Beach Naval Shipyard undergoing overhaul and conversion to CVS. Stayed with the ship through Underway Training then went to HS-10 at Ream Field (Imperial Beach) for helicopter training in the SH- 3D. Rejoined TICO on her WestPac deployment, as the air group commander. The air group (CVSG-59) had three VS squadrons, two HS squadrons and an E1B "Willie Fudd" detachment. Back to sea again in 1974, selected for major command via a deep draft command. The deep draft was a troop ship, PAUL REVERE (LPA 248) in San Diego. Put her in overhaul in 1976 and took command of INCHON (LPH 12), in overhaul at Portsmouth Naval Shipyard. INCHON was a great tour including a spring-summer Mediterranean cruise. Liberty was never like this in the Pacific Fleet. Almost retired at this point, but decided to give the flag board a chance and took another OPNAV job, this time as the "Navy Planner" in OP-60. The board blew it, so Ron retired, June 1979 with 27 years commissioned service, more time at sea than most blackshoes, and too many Pentagon tours. Decorations: Legion of Merit, Meritorious Service Medal (2), Air Medal, Joint Service Commendation Medal, Navy Commendation Medal plus four rows of unit and personal US and foreign awards, medals and ribbons.